The AR concept, though still very new on many markets around the world, is already the star of the show in the gadget world. Why so? Because this type of sophisticated technology is indeed mind-blowing. While there are no disputes over quality, some are disappointed that it comes with a very unfriendly price tag. 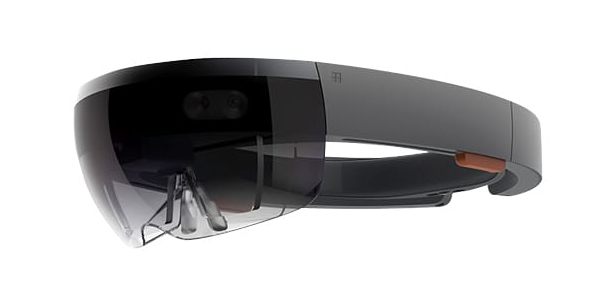 What is Microsoft Hololens and what can it do to justify its price is a question many smart glasses fans have asked the company’s representatives. Transparent lenses made of three layers of differently colored glass help create the illusion that virtual objects are an integrated part of your real surroundings or that you find yourself in a completely new setup, that has nothing to do with reality. This is in a nutshell what the Microsoft Hololens is about. It’s state of the art technology that doesn’t come cheap, but with a good chance of becoming indispensible sooner than you might expect. It is estimated that in about 10 years people will buy more smart glasses than smart phones. Granted, trends regarding wearable gadgets are not easy to predict, but we can’t help notice the variety of gadgets working together to steal the smart phone’s crown. While being a good reason for the industry of smart glasses to feel confident about the future the estimation is also proof of present day success for the intelligent specs everyone wants to get their hands on. Alas, with prices going up to 3.000 dollars, this is the typical case that demonstrates being trendy is often expensive. However, if you’re not particularly picky about your wearables, there are a few models you can probably afford. For instance, Recon Instruments Jet Smart Eyewear is about 500 dollars on Amazon. Remember – a good smart glasses buy is not about how much money you spend, but about getting as many perks as possible for the amount you can afford. Although most people don’t know the difference between VR and AR when buying their smart glasses, many of them seem to prefer the latter. A likely explanation is that newer products tend to attract more buyers than older ones, on the assumption that a modern device must include better technology than its previous versions. Another plausible reason is the fact that augmented reality glasses for sale are now available in most specialized stores and online, which offers them a lot of exposure while tempting the buyers with bigger discounts than ever before. Not that we have a problem with the success of AR glasses - which we find completely worthy of their fame - but we would like to suggest the people that look into buying a pair to consider the science behind the product before deciding on a certain model. Marketing aside, it’s the technology that makes the difference in the end.